Kathiresu Jayaprakash, known to the community as JP and the owner of the Pik-Kwik Convenience store on Kingston Road near Victoria Park, is remembered as a kind-hearted man who worked hard to help customers. Photo: Submitted. Kathiresu Jayaprakash, known as JP to everyone in the community, is being remembered for his warm and welcoming service at the Pik-Kwik Convenience store on Kingston Road. JP died on Friday, March 22 at the age of 54 from cardiac arrest. He was a man of dedication and responsibility, said his son Nimallan. Before moving to Canada, Jayaprakash studied electrical engineering in London, England. After a few years in Canada, he decided to open the Pik-Kwik Convenience store on Kingston Road just east of Victoria Park Avenue. It was run by Jayaprakash and his wife Thayaalini, also known as Meerah, for almost 24 years. He and his family lived in different areas of Scarborough over the years, but then moved to Unionville. Nimallan said his father also had a great love for dogs, especially his German Shepherd named Trooper. When he wasn’t looking after the store, Jayaprakash would spend time at his family cottage. Even then, he would have his sons Nimallan, 24, and Ajeythan, 13, help him with work as they would make renovations to the cottage. Nimallan, also known as Nims, explained that some of his favourite memories of his father related back to how much he loved to work. To the community, Jayaprakash was known as the kind-hearted convenience store owner who would go out of his way to help his customers. That included delivering packages to customers, assisting others in the community, or even building relationships with each person that walked through the door. After he died, the support from the community for him continued. “I put out a sign in front of the store saying that JP has passed away, and the next day when I came in, there was a bunch of flowers with cards on it. I took those flowers home and I came back two days later and it was full of flowers again,” Nimallan said. The details for the funeral were also posted on the sign, and many of Jayaprakash’s customers attended. The funeral was held on March 27 in Markham. 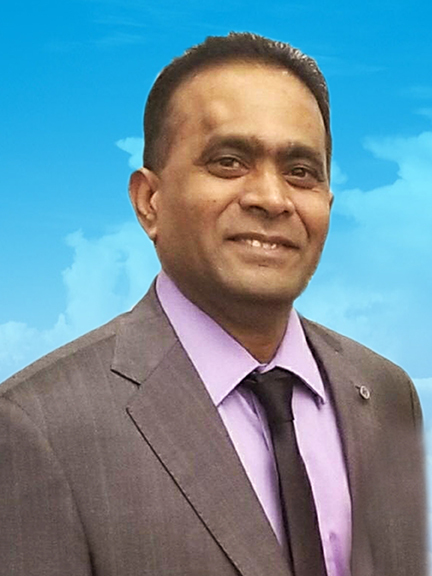 Jayaprakash will be remembered as someone who made an impact in the lives of his friends, family, and especially his customers.